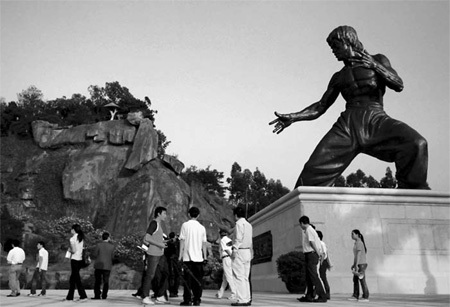 cryptonaut-in-exile: Giant Bruce Lee statue is kickass. At 18.8 meters tall, the world's biggest Bruce Lee statue is ready to greet global kungfu lovers in the master's hometown in Jun'an town, Foshan in Guangdong province. Had hopes of checking this out in person if I ever get to China again; but, I checked a map and it's a long way from Beijing.